Tonight I am very tired. It has been an exhausting week so far and I am glad that tomorrow is Friday. I fell asleep watching the replay of the Tour de France and have just a little time to put together a post. So here is a Thursday Throwback to 18 years ago. Here is a picture that caught my eye while looking through some old pictures from a trip to San Francisco years ago. At the time I still lived in Kansas City and would travel out here to California to teach classes. On Saturdays I would usually go sightseeing with my students. I took the picture above at Fort Point which is below the Golden Gate Bridge. 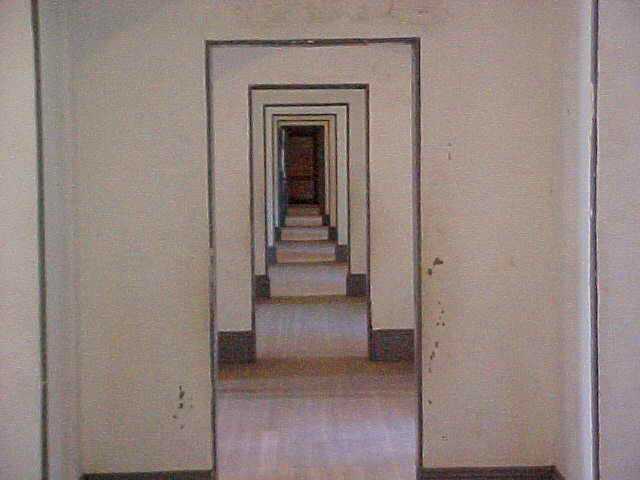 I have always liked this view down through the doorways of the barracks at the fort. All the pictures in this post were taken with an old Sony digital camera that saved the pictures on floppy disks. Therefore the resolution is not so good. The first picture was taken at Fort Point which is seen at the far right of this picture underneath the south end of the Golden Gate Bridge. See also my post Fort Point and the Golden Gate. In the background you can see an indistinct view of the San Francisco skyline which has changed quite a bit since that time. Here is a less popular view of Alcatraz. Most pictures you see are taken from the wharf area of San Francisco. 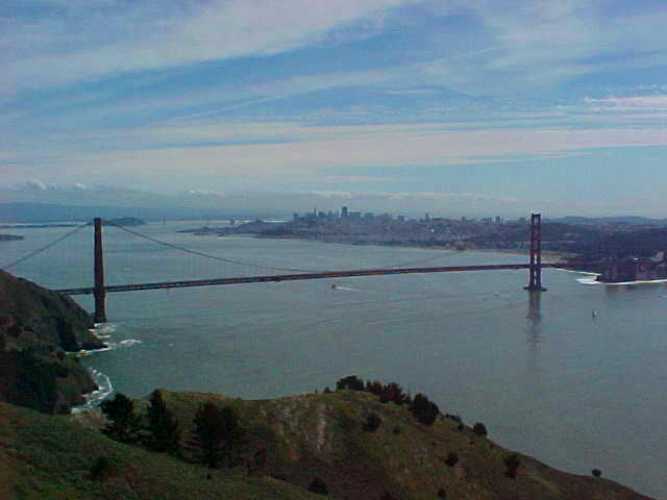 This one is taken from the Marin Headlands. In the far distance you see the old Bay Bridge which has since been replaced. 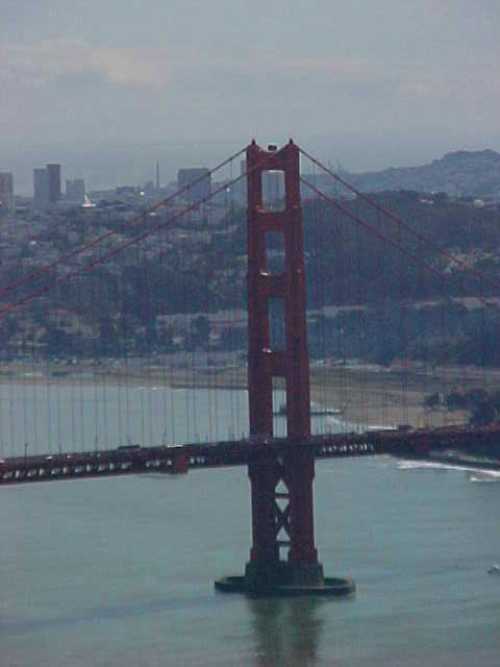 Here is the south tower of the Golden Gate Bridge that was taken at the same time. And finally, one more tower. 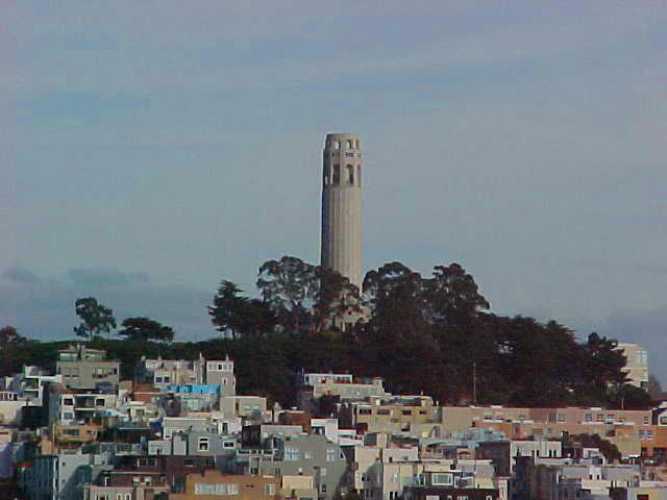 Here is a picture of Coit Tower in San Francisco. 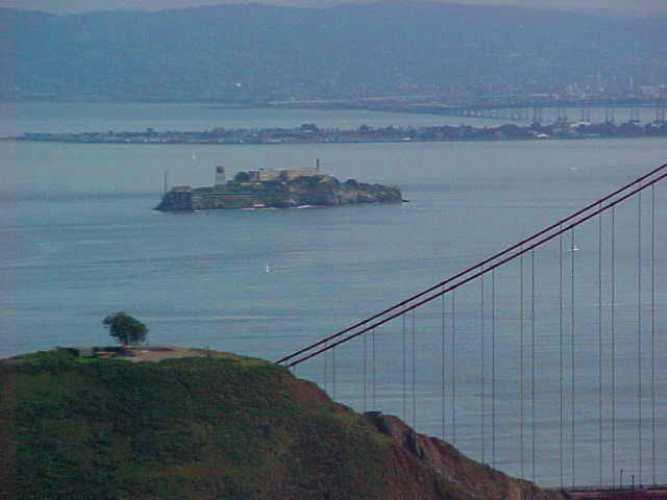 This entry was posted in Bridges, California, Memories, Travel and tagged Alcatraz, Coit Tower, Early Digital Pictures, Fort Point, golden gate bridge, Old Pictures, San Francisco, Throwback Thursday. Bookmark the permalink.